Hometown indie favorite, PRO TEENS, just released two new tracks as September drew to a close and “Death, Cranked” is the first of these offerings. After a short paragraph of somber lyrical musings, the song swims on, swelling slightly without ever breaking waves. It soothes, despite the slightly sullen feel. “Garbage Island” picks up the pace after “Death, Cranked” by adding a bit of bounce to the band’s dry Yacht Rock sound. PRO TEENS is the Yacht Rock sound of Phoenix, after all. If you didn’t know the standard, now you do. I would like to begin this review by saying YabYum and its editors do not support drug use, but we can’t deny the appeal of Magic Bronson’s new single, “Evil Plans”. I might even run out for a black leather jacket but I’m going to have to pass on the other habits mentioned in this kickback number. Don’t worry, even if you’re a good kid, you can still feel like a badass with the volume kicked up as you cruise around with Magic Bronson on the stereo. “Evil Plans” takes chill indie electro pop and turns the hip factor way up without any unneeded embellishments. At the heart of the song, Magic Bronson recounts the struggle of an angst-ridden high schooler facing the woes of bullying and IRL resentments…. but it’s sometimes better to know that bit after you let the hook sink in. 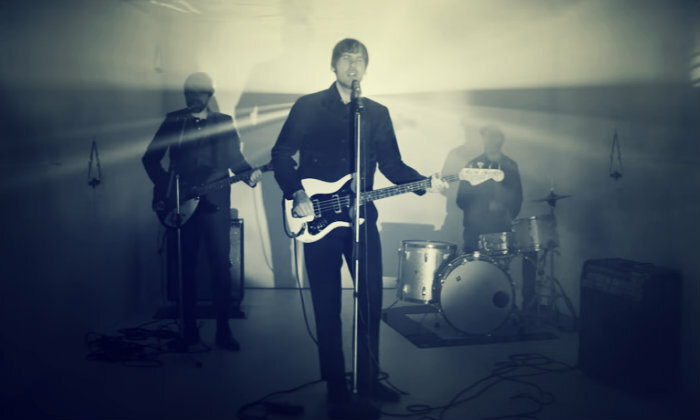 Peter Bjorn and John are getting ready for the release of their new LP later this month with THREE new singles. “Gut Feeling” is one of those tracks. The Swedish act formed in 1999 and has been making music together ever since. You’d expect some bad feelings to surface over such a tenure and they did. “Gut Feeling” addresses that sense of bad blood rising, but in the spirit of musical partnership, the song bubbles with energy and connectivity. The new Peter Bjorn and John album, Darker Days, will be out on 10/19 through INGRID and is currently available to pre-order at Pledge Music. Before then, make sure you check out “Gut Feeling” and the other early samplings from Darker Days. This band from Bradford [UK] is known for their psychedelic sound and crazy live shows, but their new single is a seductive slow-burner. The song runs through those initial moments of attraction as lyrics move between English and French (obvi). Fling might fall into the glam rock/punk sector within the larger amalgamation of indie rock, but the quintet knows how to slow it down and make the feelings happen. The two track release from the AZ-based act Juniper Ridge hearkens back to earlier eras of indie. Lofi and emotionally earnest opening number, “My Darling”, starts of with a gentle realization of loss before the angst (and energy) gets turned up. There’s a Weezer-esque charm that will strike a nostalgic chord for some or hit upon some newfound mixture of garage grit and raw emotions. Make sure you check out “My Darling” by Juniper Ridge and then stick around for “Domino”. Juniper Ridge might be newbies on the Phoenix scene, but they are up and coming.